HTC announced the all new HTC One (M8) earlier this year. And now it has finally made its way to India. The all new HTC One (M8) boasts a 5.0-inch Full HD display with Corning Gorilla glass protection on top. The phone will come in two variants of processor a 2.5 GHz / 2.3 GHz quad-core Qualcomm Snapdragon 801 processor will be available depending on the market. Running on Android 4.4 KitKat OS it is equipped with the new HTC Sense 6.0 UI. 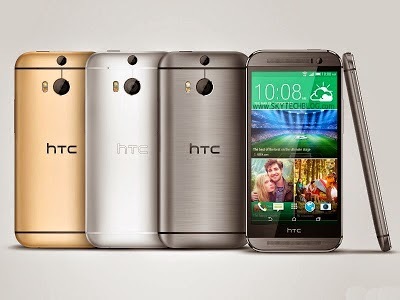 HTC One (M8) will come in Gunmetal Gray, Glacial Silver.and Amber Gold colors. The all new HTC One (M8)is priced at Rs. 49,900 (MOP) .